Our goal is to develop the latest technology for the professional audio industry, and remove boundaries to creativity. Audiotonix operates in the exciting and fast-paced professional audio industry, delivering the latest technology that enables our customers to produce amazing audio. This dynamic market is continually evolving, driving new technology and applications that provide fresh challenges and opportunities for our business. This demand for new and replacement products brings sustained growth across each of our brands as we respond to new trends requiring enhanced audio quality and control. Our multi-brand strategy and broad product offering allows the company to access multiple end-markets, by capitalising on the scalable benefits of a Group-led R&D and production strategy. This ability to continually create technically advanced products supported by tailored services and sales partners, allows each brand to be positioned at the premium end of their respective markets. Key to the success of Audiotonix is a structured, commercially-focused R&D process that adds benefits to all the brands through sharing specialised knowledge, technology and resources. This has created a platform for refining ideas and accelerated development of new, better designed and manufactured products. The result is long product life cycles with stable pricing and best-in-class margins, which in turn allows for ongoing R&D reinvestment. We have the largest specialised R&D team in the professional audio mixing console market. This expertise provides a real competitive advantage in a market which has significant technology barriers for potential new entrants. Our flexible operations provide an efficient mix of in-house production centred on low volume product, and outsourced manufacturing for higher volumes, all supported by a diverse supply base and partners with long-standing relationships. It starts with the first product idea through to providing a lifetime of support; the customer is always the focus. Across all our brands we take a proactive, tailored approach to how we best support our clients from the point of sale to ongoing services. 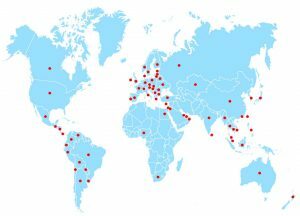 To provide global coverage we are backed by a network of over 200 trained distributors across 90 countries, who provide regional support to thousands of resellers, system integrators, rentals companies and end users. Our high touch approach, both directly and via partners, gives us the strongest client and partner relations in the industry. 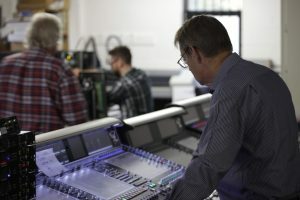 These close relationships with live sound engineers, designers, consultants and broadcasters ensures we continue to produce client-focused solutions and services that the different markets demand. From the top down, Audiotonix and the individual brands are fuelled by teams that have an intimate knowledge, understanding and passion for the professional audio industry. 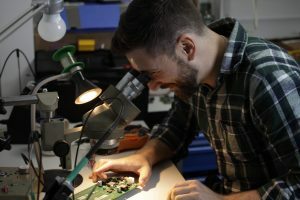 We continually invest in our staff and bringing in the best new talent, ensuring we keep the Company at the forefront of audio technology and industry challenges. The Audiotonix management team is a successful mix of executives from the brands and experienced external professionals. This blend of skills drives a collaborative ethos for the benefit of the all brands, whilst ensuring the individual brand strengths and cultures that have made them successful are never diluted.